Cemeteries, for me, offer a place of quiet contemplation. Sometimes, I know just enough of the people buried there to set my imagination running about lives, times and places. This cemetery in Forsyth holds the remains of Nathaniel Kinney, who led a vigilante group, the Bald Knobbers, for five years before losing his life to vengeance. It also holds the remains of John Hilsabeck, who operated a hotel on the White River at the mouth of Swan Creek in the old Forsyth townsite. 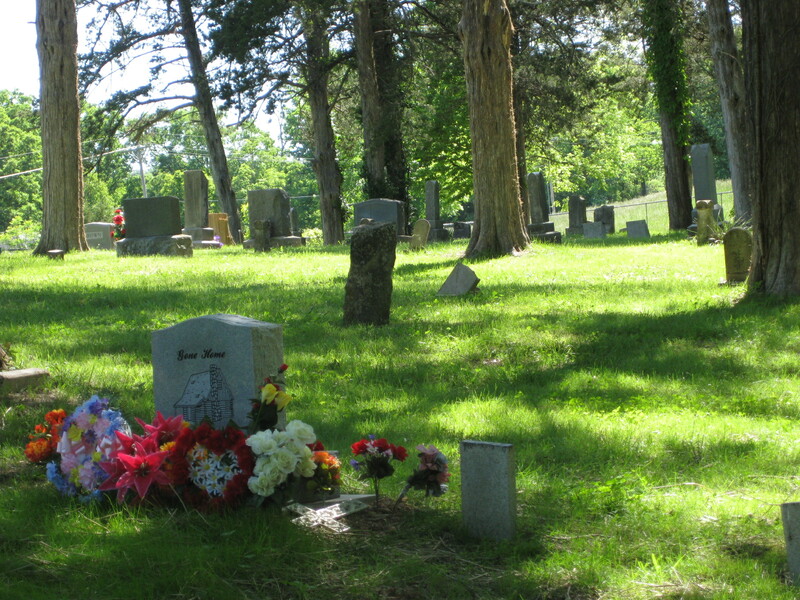 At this cemetery, in 1892, John Wesley Bright was hung after having been pulled out of the Taney County jail where he was held for the killing of his young wife. Rueben Branson, Branson’s first postmaster, and his wife Mary lie here, in this green place in downtown Branson. Over the past few years, I’ve been photographing the graves of my ancestors in Texas, Oklahoma and Arkansas, trying to imagine the communities where they lived and died and the landscapes they encountered in the 1800s. If you don’t know where your ancestors were buried, you can often find them on the internet. 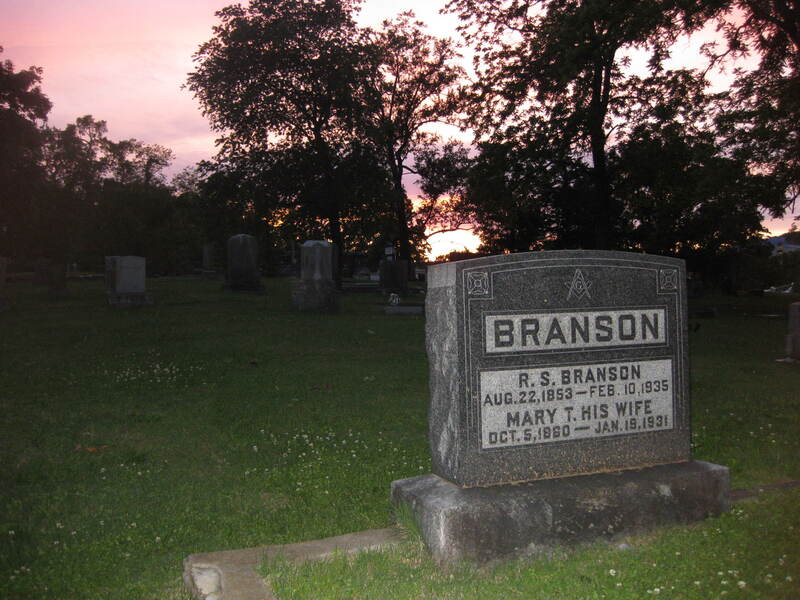 Posted in Branson, Missouri, Ozarks, Ozarks economy and tagged cemetery, graveyard, Memorial Day, Ozarks history, Taney County. Bookmark the permalink. I never visited my father’s grave in St. Louis (he died in 1971) until my mother was buried next to him last September. Now I go every time I’m in town. It’s a Jewish cemetery, so you see rows of stones on top of the grave markers–a way to announce someone was there. I try to remember to bring two pretty rocks from my property when I know I’m going to be there. I’m certain people swipe stones from the markers of the “popular” graves when they forget their own. Thanks for mentioning the custom of leaving stones on tombstones to indicate a visit. Please check my next post to see what I found on a tombstone in southeast Missouri.